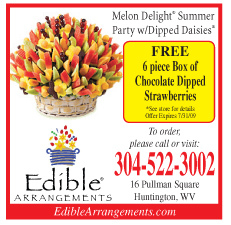 "Edible Arrangements ran the following Stick-On Ad & had tremendous results! The owner now plans to use Stick On Ads to drive sales during periods when sales are generally slower, because the response rate was so great that using them during peak times. 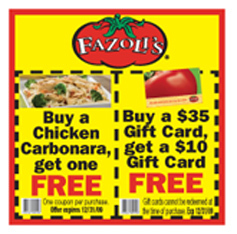 completely overwhelmed the business with orders!" 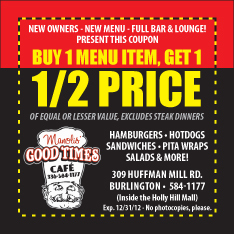 Burlington North Carolina newspaper, "The Times News" sold a full run to Good Times Hamburger Joint. 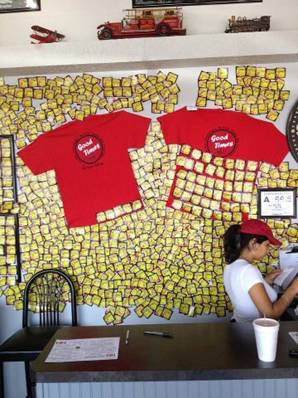 In just two days, over 731 Stick On Ad Coupons were brought into the establishment! The Times News has a customer for life.